Sometimes during the dog days of summer, our pets can find the best adventures that really weren’t fun until someone got dirty! 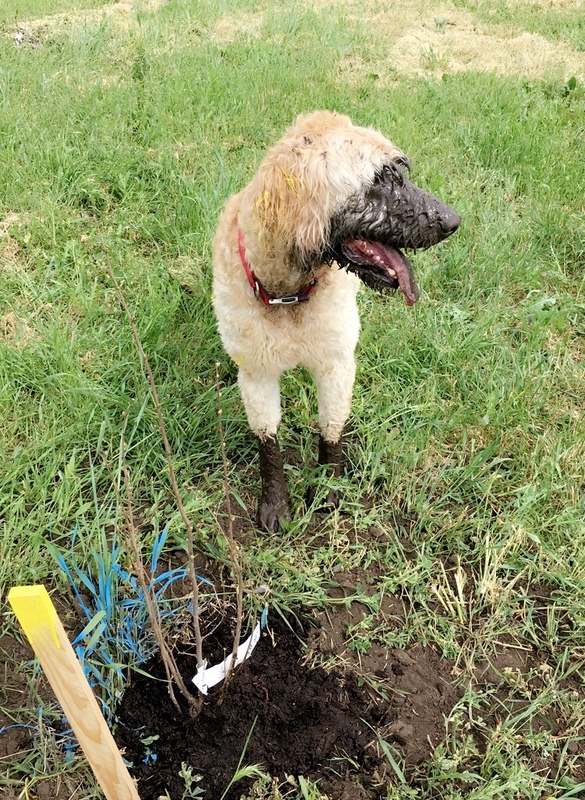 Watson helping plant trees last summer. Today, we’re going to make a batch of soap for dogs because a dirty digger dog is only cute until they want to come inside. When our furry friends find holes and mud, we have to laugh, snap a picture and then give a sigh as the bath supplies come out. 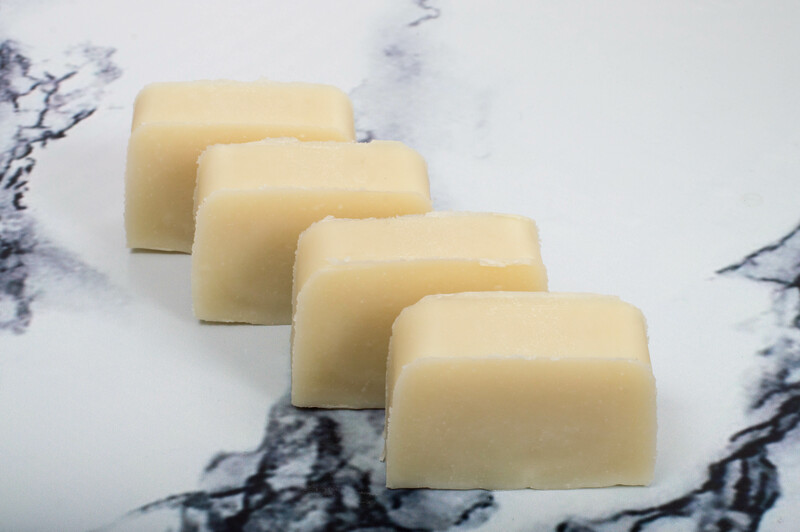 This soap recipe is one that we have previously shared on the blog. It is a basic soap recipe, but I added some Cyclomethicone and Dimethicone to help untangle and soften dog’s fur. While we used Awapuhi Seaberry to scent this soap, feel free to choose any scent that works for you and your pups! To make this soap, first, you’ll want to mix the lye and water and set aside to cool. Next weigh the Hydrogenated Soybean Oil, Coconut Oil, Olive Oil, and Mango Butter into a microwave-safe container, and heat until fully melted. Usually, I say to let your oils cool to around 120° F, but because we are in the hot summer months, it is a good idea to allow your oils and lye solution to cool closer to 110° F.
Once both your oils and lye solution are cooled, pour the lye into the oils and using an immersion blender, blend until fully mixed. Something that I learned recently is to always keep hot water on hand when making a batch of soap. If you notice that the soap starts to get too thick too quickly, you can add a little bit of hot water to keep the soap from getting too thick. Once, the soap is fully mixed it is time to add the Cyclomethicone, Dimethicone, and fragrance oil. Blend until fully mixed. Then you should be good to pour it into the mold. Let cool overnight before popping it out of the mold. I hope these recipes can help make your summer a little less crazy. Now let’s get outside and have some fun!